Wow! 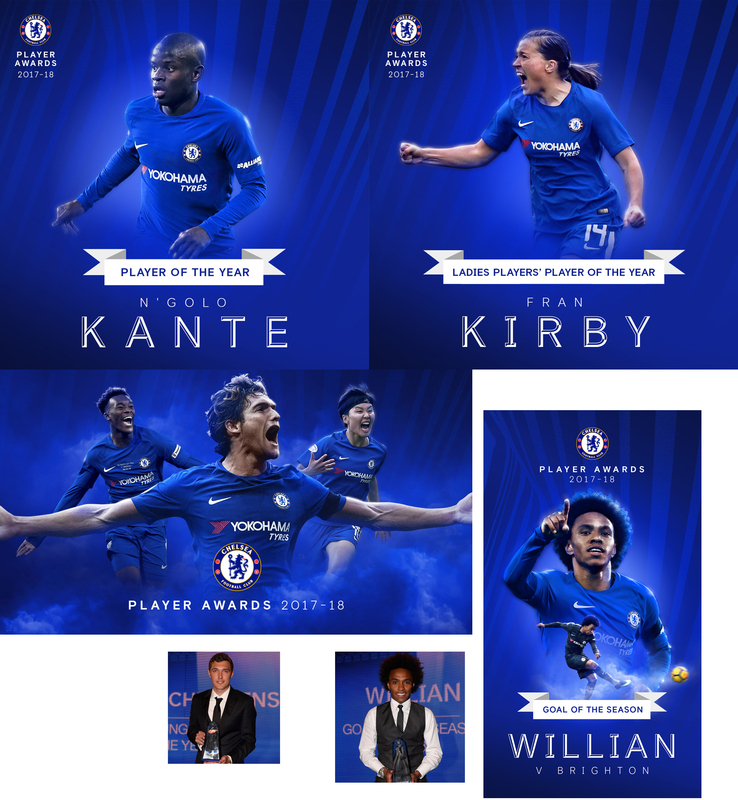 What an incredible season for Chelsea Football Club – trophies lifted at all levels and age groups. 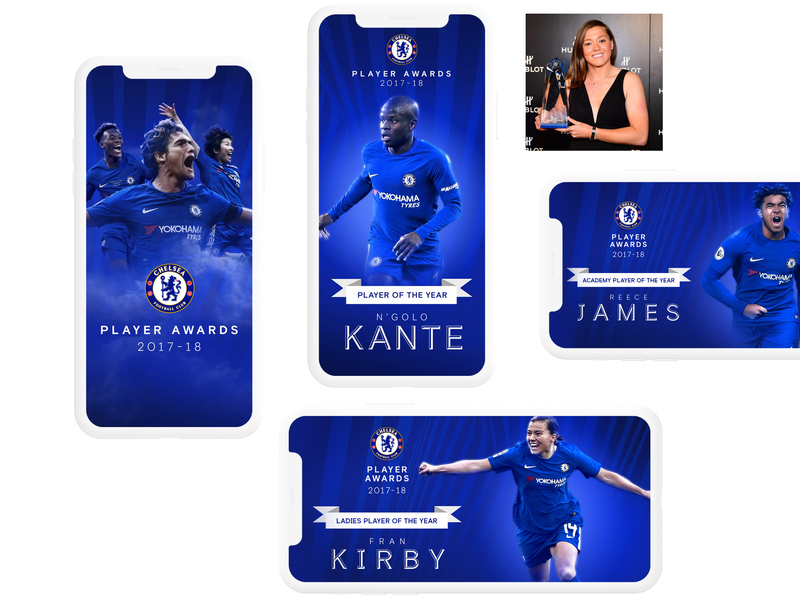 To help the club celebrate, we designed creative for the 2018 Awards night, announcing the winners across all of The Blue's social channels. Building on our rebrand work for the club, Knight Studios created static and moving graphics that continued the push the new premium aesthetic, helping to give the award announcements the warranted level and weight of importance in the user's feed.